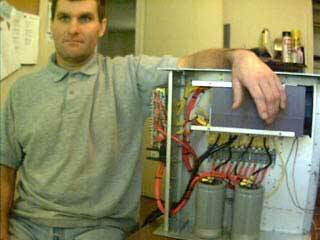 A few months ago, I was pondering the idea of building another transmitter. 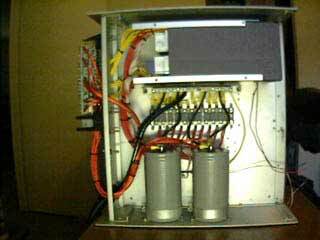 It was going to be a high current device capable of delivering large amounts of amperage to drive a low impedance antenna system. I did some research into the parts I would need to build such a device. 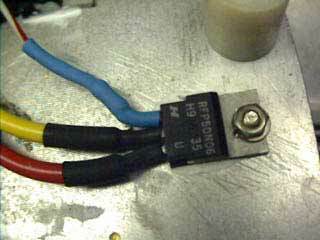 I found the perfect part for the project; A Power mosfet transistor. 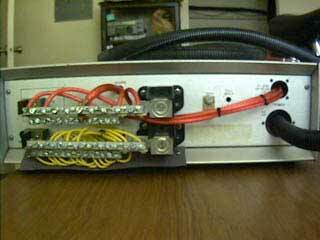 The transistor I selected was the RFP50N06, a 50 amp, 60 volt, 0.022 ohm, N-Channel Power Mosfet. 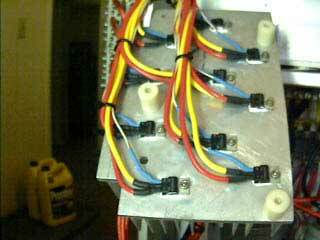 It has a power dissapation rating of 131 watts, using that rating I was able to come up with a design. 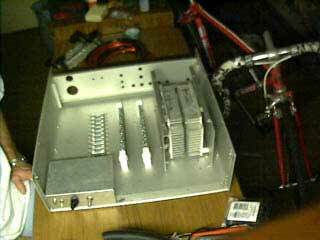 I built the transmitter with 20 of these transistors in parallel. 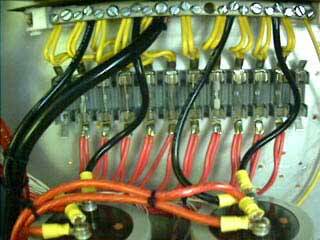 Each transistor has 16 gauge copper wire soldered to the drain and source terminals, the source (red wire) terminals are wired to the 350 amp fuse block, the drain (yellow wire) terminals connect to the output on the back. 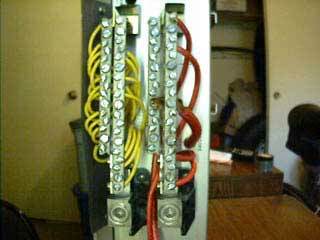 Of course it will never actually deliver 1000 amps, each transistor is wired with 16 gauge stranded copper. 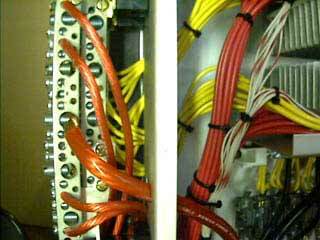 The main power wire is 4 gauge copper. 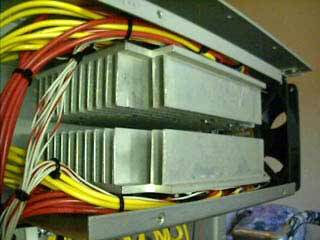 The power supply is basically my truck for right now, it has a 110 amp alternator with an 850 CCA battery, which can deliver up to about 300 amps in short (1 second) bursts.